He pauses…then turns to read the page of cramped writing I can see inside the folder. It suddenly occurs to me-perhaps they’re pretending they don’t know who I am. Perhaps they’re trying to drive me mad. There’s been a terrible mistake. Instead of being driven to a manor where she was to begin her position as a companion, Louisa is taken to Wildthorn Hall, an asylum. They call her Lucy and interpret her every protest as further evidence of her illness. But who had her committed? More importantly, how can she get out? Does her family really believe she belongs here? Or worse, is it possible that they do not even know where she is? Amidst the groans and suffering of her fellow patients, Louisa recalls her outside life. True, perhaps she read more than was considered seemly for young women, and her ambition to become a doctor was certainly unconventional. But moral insanity? Surely having dreams of something other than a husband and family does not amount to an illness! In order to save her life and be united with her love, Louisa stages a risky escape attempt. But on the outside, there are many dangers for a young woman, and it seems her troubles have just begun. 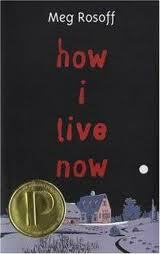 I did absolutely nothing today but finish this book; I got it yesterday night. First, it’s about time we have some good queer historical fiction! Even better, this is a queer story that doesn’t revolve around a coming out. Louisa, from her childhood on, has preferred science to sewing and riding horses to making calls. However, she is not committed to the asylum because she is a lesbian, rather, because she exhibits unfeminine characteristics and ambitions for her time. In this way, the book is an interesting commentary on the restrictive expectations for women in nineteenth-century England. Eagland, Jane. 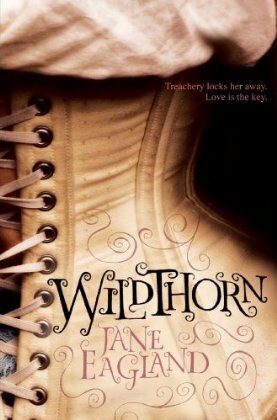 Wildthorn. New York: Houghton Mifflin, 2009. 349 pp. Ages 14 and up. If you liked this book because of the historical setting, you might like the classics Jane Eyre and Wuthering Heights. Older readers looking for lesbian love stories set in Victorian England will go crazy over Tipping the Velvet by Sarah Waters. For a fantasy featuring girls who fall in love, try Malinda Lo’s Huntress. Creepy gothic feel? Try A Great and Terrible Beauty by Libba Bray! And for a French medieval trilogy about assassin nuns (ok, not technically related to England or asylums or lesbians), I’ve been wanting to read Grave Mercy. It looks fantastic! 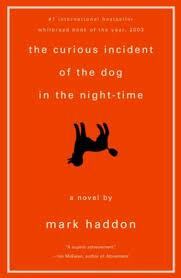 Daisy is fifteen, and has been exiled from her Manhattan home by her father and pregnant stepmother. She won’t eat, and no amount of expensive therapists and treatment can unravel the snarl of her eating disorder. With that, and the new baby on the way, her family was overwhelmed, and sent her to stay in England with her cousins. England is lush and beautiful, and the country house where her cousins live is shelter to goats, chickens, and other livestock. They live rather unconventional lives, direct their own homeschooling, and get by with minimal supervision (though lots of love) from their mother, Daisy’s aunt. It’s all lovely, until the War. England is attacked, no one is sure who The Enemy is, and people run out of medicine and food. There are power failures and rationing. There is mass panic and confusion. In the middle of it all, Daisy’s paradise becomes a nightmare. The cousins are separated, and survival is their only focus. I can’t rave about this book enough. It’s brutal and shocking at times-I turned my face from the pages during some sections. However, that brutality is juxtaposed with lyrical descriptions of love and beauty. Daisy’s voice is spot-on, realistic and absolutely compelling. Furthermore, it has a timeless quality, which I think distinguishes good books from excellent books. What I mean is, the book doesn’t seem tied down to a particular era. The Enemy is unnamed and unknown. While it is set in modern times, there are few pop culture references to burden this book and make it inaccessible to readers thirty years from now, and it addresses issues that will always be of concern: love, war, family, and fear. Rosoff’s use of language (no quotation marks, capitalization of important words for emphasis, and Daisy’s unique voice) is incredible, as well: not intrusive, but crafted to direct readers’ minds to the sort of fear-inducing media techniques that are so common today. This has been made into a radio program, and I will try my hardest to find a link to it. In the meantime, please find this book and read it. It won the Printz Award, the Guardian Award (which is similar to the U.S. Newbery Medal) and was nominated to win the U.K. Carnegie Medal (for outstanding YA or children’s lit). And I put it on the All Time Awesome-est list. Want to hear something else amazing? 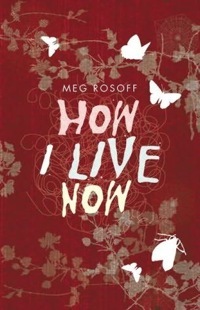 Yeah, this is Meg Rosoff’s first novel. Rosoff, Meg. How I Live Now. Wendy Lamb Books: New York, 2004. 194 pp. Ages 15 and up. If you like this, I think you will also like Nothing by Janne Teller.